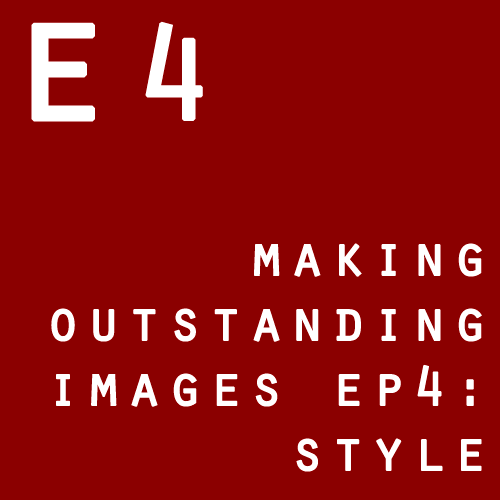 Now available: Making Outstanding Images Episode 4&5: Exploring Style! I’m pleased to announce the final two videos in the Making Outstanding Images workshop series: Exploring Style and Processing for Style are now available for instant download! We begin by questioning and explaining what style is, and the quantitative hallmarks/ tools that can be used to define, control and create a particular impression, and more importantly, why. I then take four popular, easily defined styles – commercial/travel, high contrast photojournalist black and white, fine art black and white and cinematic – and deconstruct them to their constituent elements, looking at examples and precisely defining what gives them their unique visual look. I then take these elements on a live demo shoot for each style on location in Penang, and discuss the finished images to explain why they work. The final video in this series brings everything together to the point of output: we take the sample images shot in Exploring style, and examine the postprocessing techniques required to complete the intended style. Starting with the raw files, we put 50+ examples step-by-step through Photoshop and demonstrate exactly what you need to do out-of-camera to put a distinctive flavour onto an image. We use PS CS 5.5, but the core principles apply from CS3 to CC. The videos are meant to be viewed as a pair to be complete, so as is now traditional, we’re offering a special bundle price for the launch month: US$130 for both (save $30). The images from both videos are slowly making their way into this set on flickr. Click on the title links above to go to the store to order, hit the homepage here and scroll down for the bundle. Larry House (The Fundamentals, Making Outstanding Images Ep.1): I’ve watched both videos once, and will need to watch them at least once more. They are very good, by the way. No-one should be deceived by the “fundamentals” title – it is on another level than what might be expected, and should be required viewing for every photographer. Jerome Walsh (Fundamentals, Making Outstanding Images Ep.1-3, How To See Ep.1, Compact Camera Masterclass): I have found all the lessons I have previously ordered; D:The Fundamentals, E1: Outstanding Images, H1: How To See, & F:Compact Cameras, to be excellent, inspiring, and above all useful. I am choosing to further develop my creative photographic skills, along with a greater understanding of digital techniques. Your video lessons are providing a rich and solid foundation to build on. I look forward to these two new lessons I have just ordered… E2 & E3. Ming…I find you to be a great teacher and I highly recommend your video lessons. Thank-You. Stephan Ralescu (Fundamentals, Making Outstanding Images Ep.1-3, Intro to PS Workflow): I look at Ming’s sample photos and my jaw drops: “can the camera really be that good.” So I decided to take Ming Thein at his word and invest more in my education rather than the gear. I’ve got Ming’s fundamentals, his outstanding images, and intro to PS videos, and I can now see how Ming is able to achieve such high quality output. And also how much more I have to learn before I start going for the gear once again. Eric Hanson (How To See Ep.2: Tokyo): Just finished watching – How to See EP2: Tokyo. The information is enjoyable and extremely helpful. The episode covers a large number and variety of scenes. I really enjoyed the locations selected. In particular the visits to gardens and landscapes was very illustrative and the photos wonderful. Also the street and building photography. Can’t wait to get out and shoot and apply these things locally. If I get to Tokyo I will have a huge list of sites to visit. Ansgar Trimborn (How To See Ep.2 Tokyo, Street Photography Ep.1): Got myself H2/S1 videos as a Christmas present and find both well worth the $$$. Really like the look over the shoulder learning perspective. Andre Yew (How To See Ep.2: Tokyo, Street Photography Ep.1): If you get a chance to see the two latest videos from Japan, you’ll be impressed! Carrying a Hasselblad with a giant eyelevel finder, big digital back, big lens and big grip, and a tripod all over Tokyo, fueled mostly by Calpis soda, shooting street photography, there is no doubt when Ming’s taking a picture of you. Those commentators who think Ming’s allergic to camera weight have no idea at all … nor those that think certain cameras are too loud. Gary Greenberg: (How To See Ep.2: Tokyo) – Watching “How To See, Ep2, Tokyo” now… perfect as I get ready for my upcoming photo-shoot in Paris. Very highly recommended! Todd Alexander Lawton (How To See Ep.2: Tokyo) – Ep2: Fantastic. Not only hugely educational, but a joy to watch. A final note: I’ve bought various other tutorial videos this year (combination of several photographers I admire releasing videos at the same time, and reaching the point with the hobby where I’m more interested in learning how to do it properly than getting more gear–four and a half years in! ), and yours absolutely dump all over the others. Alex Lemon (How To See Ep.2: Tokyo) – Ep2 Tokyo is great, really enjoying it. Look forward to checking out Street next. Andrew Yew (Making Outsanding Images Ep. 2, 3) – Quadrant geometry just blew my mind. What a simple way to describe balance, and with a learning curve that’s not too steep, so beginners can look for the easy quadrants, while more advanced photographers can start looking for more interesting, complex compositions. I also realized that many of my images that work have quadrant balance, and now I can understand why many of those that don’t work, don’t work. For me, that little section is worth the price of the whole video! Eric Hanson (Making Outsanding Images Ep. 2, 3) – Just finished viewing Outstanding Images Episodes 2 and 3. Episode 2 will change how I take photos from here on out. My keeper rate will greatly increase. The compositional information is invaluable and the quadrant information is simply amazing. In particular it is hugely liberating in that it allows better subject placement and a more comprehensive definition of balanced than I had previously understood. I have anticipated Episode 2 since you announced it and it has exceeded my expectations. Episode 3 helps greatly with what to include in each frame and how to tell a story. This greatly simplifies taking the correct picture in the first place and identifying which images are keepers. It is wonderful that you know these things and even more wonderful that you are able to explain them in a clear and usable fashion and share them with us. My objectivity and experience in evaluating images has increased from watching the first three videos in the series and the fundamentals video. The example of the man on the beach with the leading lines and frame is very helpful as well… I was always able to enjoy that photo but I now can explain why it is a strong image and look forward to creating my own images using the same techniques. Andrew Yew (How To See Ep1, Compact Camera Masterclass) – I just watched the KL episode, and it was really good and well worth the price. All street photographers should watch it to see how one should work a scene. I don’t feel so bad anymore loitering in one place for 15 minutes taking dozens of shots when I see much better photographers than me do it as a matter of course! That is also a very clever use of the video recording feature of the E-M5 as a teaching tool, especially with that amazing 5-axis stabilizer. BTW, CC masterclass is amazing, especially the 2nd half in the field. It was really nice to see how fluidly you used that little Sony (TX30? ), and the really nice results you got out of it. It was nice to see that in contrast to all of the pixel-peeping techno angst on the rest of the Internet. I wonder if a real-world field presentation like that of a camera would result in more sales for it … The way you presented it too was quite a contrast to Sony’s fairly insulting anti-DSLR ads, and it makes people (well, me at least) want to go out and take pictures, because it feels like I have the tools now to make good-looking images. Ironically, the CC masterclass will do more for most people’s photography than a sensor of any size…In it, Ming uses a cheap, discontinued Sony point-and-shoot to photograph various subjects, including portraiture, with the typical Ming-like results. And he explains what he’s doing and why, too. It’s about as pure a distillation of what photography is about as I’ve seen, and everything in that video applies to all cameras. I go between that video, the KL walk around, and the outstanding images episode to remind myself of certain concepts before doing assignments for Ming’s email school. Mark Chai (How To See Ep1) – Hi Ming Thein, your ‘ How To See Ep1 ‘ is awesome! Does this mean there will be an Ep2 ? Could hardly wait if there is Ep2. Your video is worth every penny and beyond! Eric Hanson (How To See Ep1, Compact Camera Masterclass) – Just finished watching both videos: How To See Ep1, and The Compact Camera Masterclass. WoW!!! They are incredible, I really like the use of technology in both. The Compact Camera Master Class is proof that most people don’t know how to use a camera. Your images and ideas taken with that little blue point and shoot are stunning and very doable. Well done in both! Corey Vickery (Compact Camera Masterclass) – Ming, I am thoroughly enjoying your Compact Camera Masterclass video and I will be purchasing the rest of your videos very soon. I hope someday you will do a review of the Sony RX1R (my camera) as well as a workshop in Los Angeles. Take care! Sergey Landesman (How To See Ep1, Compact Camera Masterclass) – Thank you for very good video lesson! Sirmo (How To See Ep1, Compact Camera Masterclass) – Just purchased the new videos. I watched the Compact Camera Masterclass and I love it! Keep up the good work! 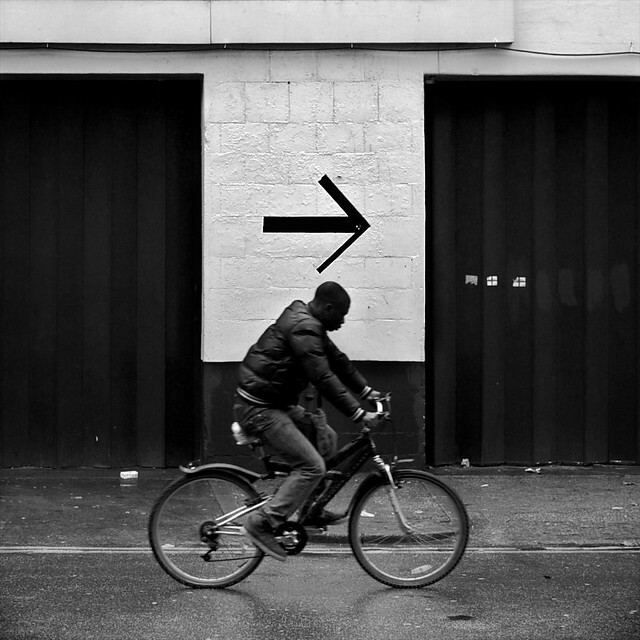 Todd Lawton (Fundamentals, Outstanding Images Ep. 1, How To See Ep. 1, Compact Camera Masterclass) – Awesome, will probably get that bundle [Outstanding Images Ep. 2+3] later today. A quick watch of the first four over the past week (I will surely be studying them intently for months to get the most out of them) left me gagging for more. Addicted to knowledge! They are exactly what I wanted; so happy. Thanks Ming. Jeffrey Littell (Making Outstanding Images Ep. 1, The Fundamentals) – I came across your website and decided to purchase your video lesson entitled “Photography; The Fundamentals”. I enjoyed that video so much that I subsequently purchased the video entitled Making Outstanding Images”. I’m an amateur photographer who has studied with several professional photographers. What I find in comparing your videos with my sessions with the pros is that you bring the many components and aspects of photography together in an easy to understand format. You answer the “why” factor in the philosophy and psychology of photography, which is something that none of the pros I have studied with have been able to do for me. Additionally, reading several books on photography didn’t provide me with the clarity of thought that you do in your video presentations. This of course only lead to more and more frustration! Knowing the “why” factor provides me with the foundation to work from in creativity with my work. I will admit to two things up to now with my hobby: first, I became entrapped in the marketing by the manufacturers in having to have the most expensive gear (and lots of it! ), and second knowing most of the various aspects of creating a great photograph but not being able to put them together to actually produce a great photo. Of the thousands and thousands of frames that I have shot, I never quite knew why say 10 or 20 of those images were great when I shot them. It was more luck than anything else. And, some of the better images were ones I thought were mistakes when I shot them! So, there you have it. I’ll study the two videos that I purchased and absorb all I can before moving forward in purchasing additional videos in your series. Thank you for saving me in bringing the components together for me that have eluded me to date and lead to massive frustration. Per Hildebrant (Making Outstanding Images Ep. 1, The Fundamentals) – Thks for your fine introduction today of the new videos, I am still repeatedly now and then looking at the first 2 launched by you, and I am also enjoying the extreme fine technical quality of the videos…thanks! Francois Arbour (Making Oustanding Images Ep. 1, The Fundamentals) – I bought your package «The fundamentals» and «Outstanding images» recently. I am very satisfied with the content of the material, very interesting. Guillaume Pont (Making Outstanding Images Ep. 1) – I’ve bought Episode 1 and just watched it. For one of your first videos it is great ! Well done Ming ! I’ve found your explanations very clear. I am not a total beginner so I knew already most of fundamentals (by observing and practicing myself, with experience) but you made these concepts clearer and more precise in my mind so I guess I am now willing to use these concepts on a more regular and thought basis when I shoot 🙂 Can’t wait for other episodes ! Alan Morris (Making Outstanding Images Ep. 1, The Fundamentals) – Just ordered the workflow video. I am working my way through your new video series. It is excellent. I look forward to future videos in this series. Todd Alexander Lawton (Making Outstanding Images Ep. 1, The Fundamentals) – I’ve been offered these wedding gigs through word of mouth, and that’s very much thanks to the amazing tuition and advice that I’ve got from this site and your iPad app. So thank you very, very much. I’ll be thanking you further by buying your latest series of videos (and hopefully some one-on-one tuition) as soon as I have the spare cash. Derek Daniels (Making Outstanding Images Ep. 1, The Fundamentals) – I recently purchased the 2 videos you have released so far. Just wanted to say they are great and no regrets what so ever. Kathleen Bowers (The Fundamentals, Intro to PS, How To See Ep.1, Making Outstanding Images Ep. 1-3) – I have watched the videos – leaving PS till last. What a revelation! I can’t wait to become familiar with your workflow! My post processing skills are so very limited by comparison! Dr. Elliot Puritz (PS Workflow for the Leica M Monochrom) – I am enjoying your video on PS and the LMM! Learning quite a bit; obvious that PS has some advantages over LR. The use of the gradient tool and the ability to use more than one curve might make the cost of PS worth it! Sven W (Intro, Intermediate PS) – Personally, I’ve bought a couple of your videos and down the track I’ll be a candidate for the email school. Why? Because the quality of your content is absolutely first class! Many thanks for being a major source of information for a hobby photographer, like me. Jeff C (Intro to PS) – Ming if you are reading this….. the tutorial is great, I’ll be hitting you up for the next part here in the near future. Just need some time to work through what I’ve learned already. Toby Smith (Intro to PS) – Just finished Ming Thein’s Photoshop workflow video – awesome stuff! Great workflow tips, and I especially like the sharpening process he uses – will put that into practice immediately. Todd Lawton (Intro to PS DVD) – I’m currently trialling Photoshop CC (I use Lightroom at home, but have been using its big bro for much longer, primarily at work these days), so had cause to bust out your iPad videos again (I got a load of them as a Christmas present to myself, but had to use my parents’ iPad, so I don’t have access to them most of the time! ); really excellent. There’s something visceral and satisfying about the hands-on nature of your Photoshop workflow (particularly multiple curves and the much more precise dodge and burn tools) that Lightroom/ACR alone can’t match; the greater degree of control afforded makes processing a more right-brained and fun experience, IMO. Hearty endoresement from me to anyone reading this that hasn’t tried Ming’s videos. Graham Wood (Intro to PS DVD): Someone wrote above “precisely what I was looking for…”. Having just absorbed Video A, I fully second that. There was no waffle and no fluff. Just very very useful stuff, with all the right context to make it meaningful. Thank you Ming. Tamas Varosi (Intro to PS DVD): I loved it, especially the B&W part. Tom Liles (Intro, Intermediate PS DVDs): I had a go on a couple of Ming’s PS videos recently and find them useful. There’s an important difference between saying that and “found them useful.” Happy customer 🙂 I would frame them as cast-off points rather than top-down “do this, do this, do this, do this…” cookie cutter type instructions. They make you want to play with PS, but honestly my over-riding desire after watching was to go out and take some pictures; to have some fresh meat, as it were, to try the new approach — a better phrase than ‘new tools’ — on. Give them a go. Valerji Tomarenko (Intro to PS DVD): Just received the DVD (it took it less than a fortnight to reach Germany). Very happy about it. Exactly what I was looking for, against the backdrop of all these books, tutorials etc. on PH. Thank you so much! Yee Suan Poo (Intro to PS DVD): I love your first PS video. It helps me a lot especially the sharpening part. 1. I really like the simplicity of the workflow to change a set of photos. 2.1 I use 3 applications and wast so many time changing between them (ViewNX, CaptureNX, Photoshop). 3.1 I use numbers instead of stars on ViewNX, but my method is FIFO – First In First Out. It’s good because it’s one method but, for this propose, i don’t think i have good results. I have many medium quality pictures processed that I’ll not see them again. I’ll try your method to have better use of time. 4. Many sharpening filters have better results. 4.1 I never realise this. The results are much better compared to one sharpening filter more aggressive. 1. Use photoshop non destructively for everything! 1.1 Is there any difference if we use one layer with 50% of grey (Overlay) for dodge and burn? 1.2 this way if I wish to revisit one photo latter I don’t lose the original. I really enjoy the DVD because I learn new ways to improve my photos and have more time to do other things instead of post processing. R. V. Abbott (Intro to PS DVD): I found that all the principles you discussed in your basic photoshop and color correction videos (e.g., regarding the relationship between the saturation and lightness sliders) applied equally well in LR. I used to struggle with skin tone color corrections, but thanks to your video, I’m finally able to do it easily! Kim Davidson (Intro to PS DVD): After receiving your DVD I installed Adobe Photoshop CS6, never having seen it, camera raw or bridge before. I would not have believed it possible, but thanks to your great instruction on your DVD, I worked my way through bridge, camera raw and successfully processed photos in Photoshop CS6 in just one day and i keep going back to your DVD to learn more. I can’t thank you enough. James (Intro to PS DVD): I just wanted to say thanks for the very informative DVD. I know photoshop pretty well, but you have taken the way I’ll use it from now to another level. I was always scared of that Curves line as it seemed to be really sensitive and easily ruin my shots. Now from your DVD I know how to use it and have already transformed a few of my photos and they look so much better. Also your dodge, burn, sponge and sharpening tips were a revelation for me. I won’t list all the things you went into, but suffice to say I’m looking forward to going through my photos now and seeing the results. Djoko Susanto (Intro to PS DVD): I had watched your your photoshop workflow dvd, it was shock me, much. I never thought, it was so easy techniques, but it’s awesome. I learned so many techniques in photoshop but never realized yours is the best and simple, great job Ming. Dimitris Glynos (Intro to PS DVD): Hi Ming! 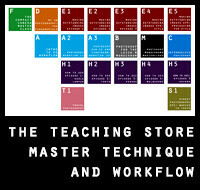 I just saw your “Photoshop workflow DVD” and it was really amazing! The resolution of the mov file (1440x900px) is very very good and your workflow both on color & b&w images is pretty impressive! Thanks a lot! JP Kornberg (Intro to PS DVD): I am happy to support the use of your PS DVD. Your workflow really is easy even for PSphobes. Joey (Intro to PS DVD): I received your PS workflow dvd a few days ago and have enjoyed it very much. Though not familiar with Photoshop I look forward to trying out the many techniques you discussed and feel confident it will start me on the right path as I step into the often confusing world of post-processing. Lucia Prosperi (M Monochrom DVD): I just finished your video, and I wanted you to know how much I enjoyed watching it, and I think I’ve learned quite a bit. Hi Ming, I just finished part 1 of episode 4. Wow, this is going to take a while to get through — not that I’m complaining about the wealth of material! Have you considered interleaving the processing sections with the style shooting sessions? It may be easier to remember everything if the whole workflow is contiguous. Of course, I say this having yet to see episode 5. And thank you for making the comment about not taking pictures of disabled people. It’s not only a street photography cliche, but as you say, exploitive especially since most photographers are not going to use their pictures to help those people. Haha, I’m not sure I need more distractions! 🙂 I did consider for a nanosecond cutting the two videos together, but laziness got the better of me. Your comment about your style moving beyond cinematics was very interesting. How would you describe it now? Sounds intriguing! I was thinking of some of your Tokyo pictures, and trying to place them in a particular style, but they seem to have elements from at least the four styles. 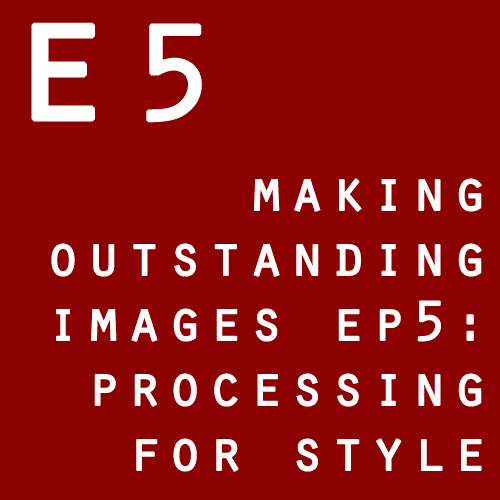 Finished watching Making Outstanding Images Ep. 4: Exploring Style Parts I & II. Highly recommended. The four shooting styles are carefully selected. Concepts from Ep 1-3 are applied to make the various styles. I really enjoyed the first section covering the commercial/travel style. The Temple in Penang is an incredible site to photograph. I learned a lot from watching over your shoulder as you shoot as well as your comments. In addition I learned alot about critiquing photos of my own and others. You clearly take this style up a notch. I made a very careful note to use this where it applies but to also use the others styles. The high contrast photojournalist black and white style section is very informative. I can now see in B&W and identify scenes that would be well adapted to this style. I learned a lot about composition watching you shoot in this section. The fine art black and white section was my favorite part. I had my camera in hand in the parking lot at work today and I immediately saw a Fine Art scene and snaped the shot. On a photo walk today I saw two more frames and captured them. The cinematic style was helpful in that it all makes sense now. In particular the part about composing when all the frames are portrait. Today I saw many strong compositions on my commute that I had never seen before. And for the first time I knew exactly which style I would process for before raising the camera to my eye. I took a cinematic, several fine art B&W and a commercial. I also now know which styles work with which subjects and lighting. This is a huge step forward. I cant wait to see Episode 5. It’s a red ring on the GR. I don’t have any Sony cameras with me at the moment. Things went really well. I think the main tip is once the first video downloads, and it is time to download the second one, either return to the link in the email with download instructions and click on it again or use the back arrow twice in the browser to return to main selection window. Anyway, I have to buy these as well. Analog = Ansel Adam’s books, Digital = Ming Thein’s Videos. Immediately noticed the titanium Panerai. Looks really great! Haha – thank you, I’m flattered! … and great series also. PURCHASED! I should set up a direct debit with you Mr Thein! Haha, thank you for your support, Todd! Thanks for linking to Flickr sets of the featured images, too. 2) Part 2, 00hr 50m you’re talking about the photo of the static motorbikes and a group of workmen in the rain but I’m initially seeing a photo of a lady wearing sunglasses! Cool, no problem. Content’s brilliant as usual, I’m absolutely loving them! Hope you’re having a good trip. Hi Ming, love the series so far. Will the post-processing video be helpful for people who use Lightroom? Thanks. Episode 4 is shooting only; Episode 5 is the post processing video. The core principles are the same, but some things you may not be able to do such as multiple curves and certain dodge and burn operations. I remember you once mentioned that you were considering the idea of doing a video/article on lightroom, how is that project going? Still on your radar? On the radar, but I struggle with the idea of producing a workflow video for a workflow I don’t use because it isn’t capable of delivering the results I want…a 100% result is not possible. 95%, perhaps. Is this good enough? For me, no, but it might be for some. If anything, LR demands much better in-camera discipline and fundamental light. I do a mixed LR/PS workflow based on the video. I might switch all the way to PS at some point. You will get a lot of useful information from the videos that apply to LR but will not be able to do the entire workflow without PS as well. I sometimes do not do the PS portion for some photos. Once I saw the video I knew I wanted PS though. Me too. The last few photos I’ve posted, I’ve really not used PS at all, and did basic adjustments in LR only. As a hobbyist, the only time I need PS is if I want to do very targeted or extensive tonal adjustments. The tone curve in LR is OK for basic stuff, but not really usable for anything beyond that. I think of LR as ACR with a simple tone curve, along with a nice library. You can do the same tonal adjustments in LR and ACR. LR is basically ACR with the library and output modules; there are some local adjustments possible via a very rudimentary masking brush, but they’re not going to let you make multiple fine adjustments (and certainly not meaningfully with a tablet/ pressure sensitivity) as you can with the brushes in PS. Knowledge of PS is not necessary either as the video shows you what you need to know. I purchased the Intro PS video just to see how Ming processed videos. I then realized I needed PS because the technique is very helpful. I meant to say: I agree with needing PS. Just do not worry about having to learn it as the video covers that. Not in great detail, the basics are in Intro to PS. It didn’t make sense wasting another two hours covering something we’d already produced. I really enjoyed the intro to PS video. That makes sense to not repeat it in Ep. 5. Currently enjoying Ep. 4. Part 1.